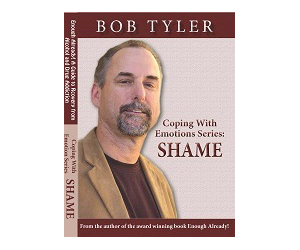 “In this emotional and thought-provoking presentation discussing Shame and drug addiction treatment , Bob provides recovering addicts and alcoholics essential tools for “mastering” shame and taming the “Shame Monster.” Along with identifying roots of shame, he addresses the use of treatment groups and outside sober peers to process and challenge shame while gaining support to cope with it. Sober since 1988 and working in recovery for over 20 years, Bob provides treatment for drug and alcohol addiction through his private practice, provides consulting services to treatment programs, is an accomplished speaker, and teaches in the Alcohol and Drug Studies Program at Loyola Marymount University Extension. He is also Past President of the California Association of Alcoholism and Drug Abuse Counselors (CAADAC) and author of the EVVY Award-winning book: Enough Already! : A Guide to Recovery from Alcohol and Drug Addiction.